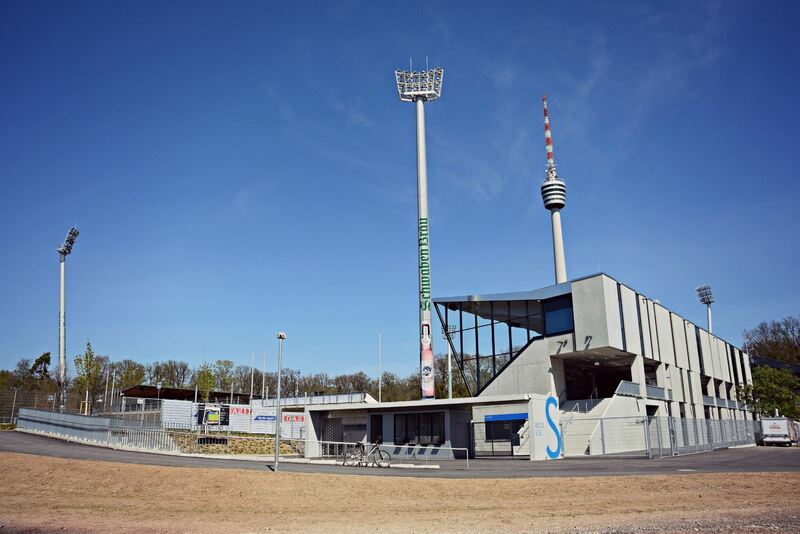 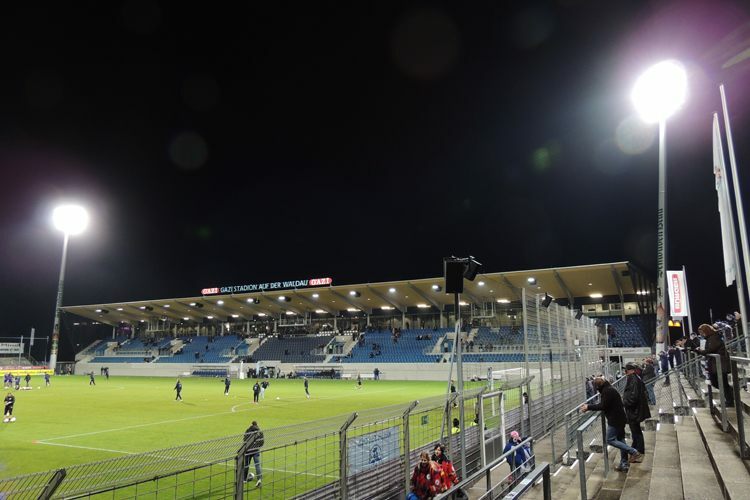 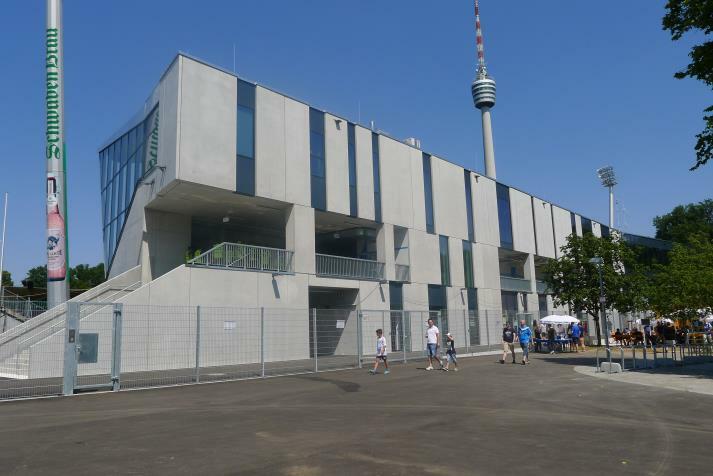 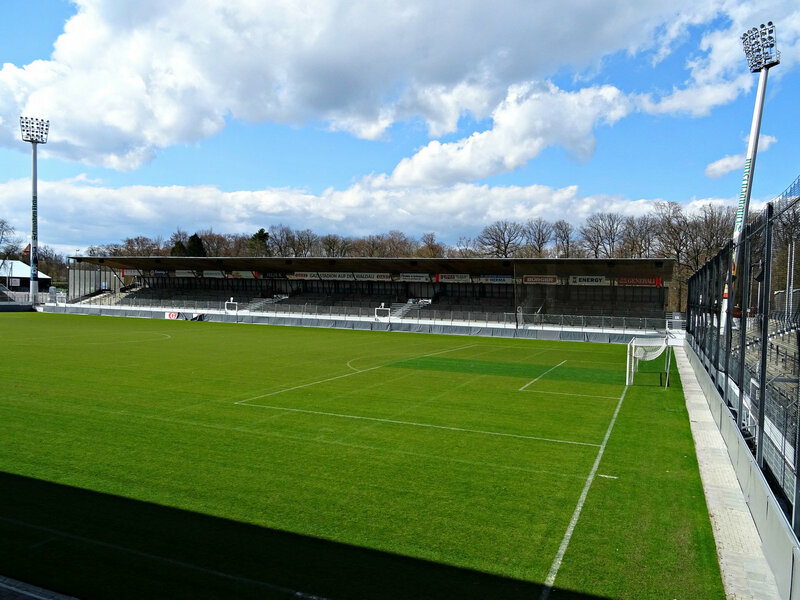 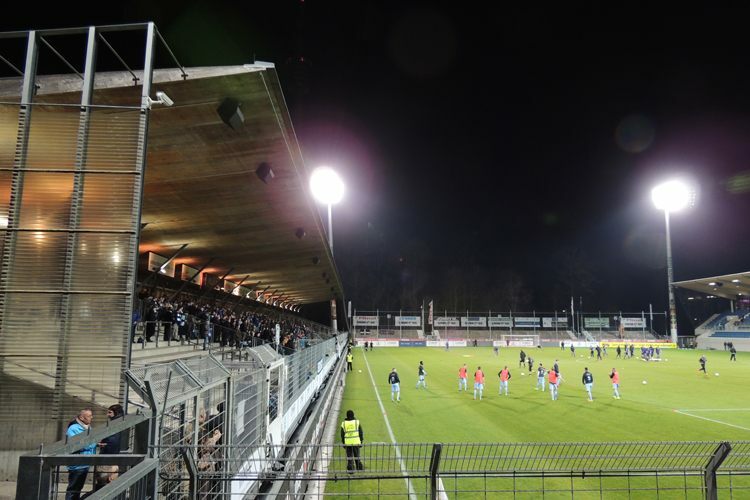 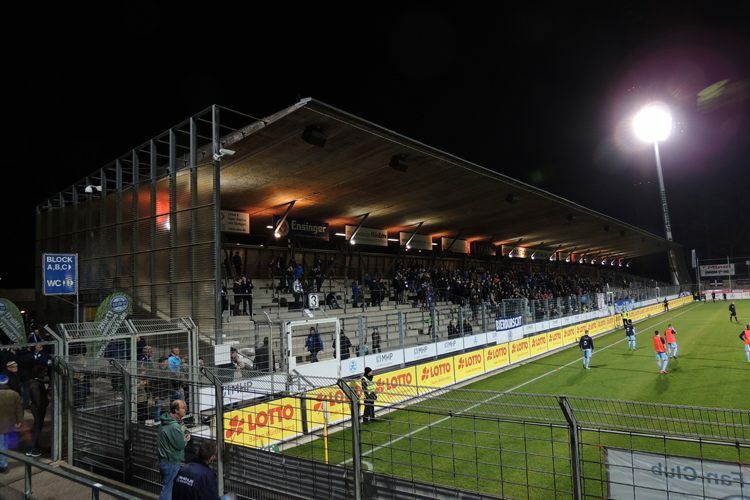 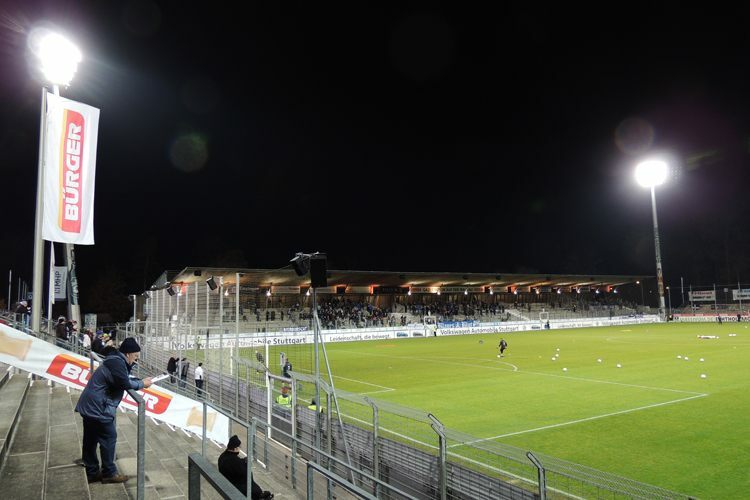 The home ground of Stuttgarter Kickers was opened in 1905 as part of a major sports complex. 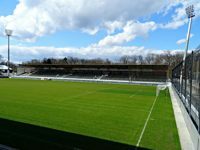 To this day the Waldau district holds Stuttgart’s largest set of sports fields. 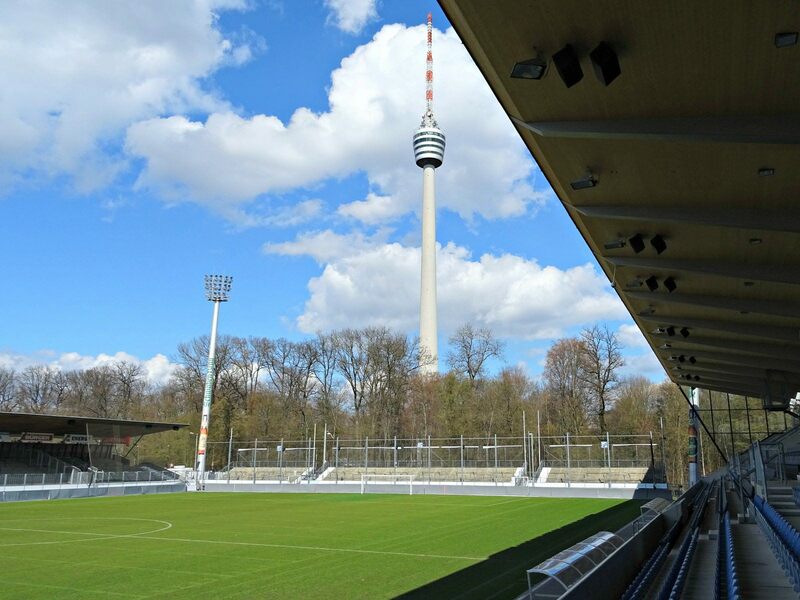 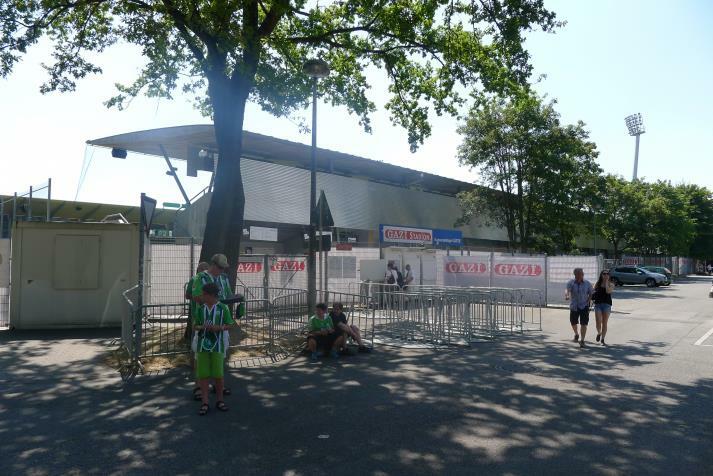 Interestingly, Kickers are Germany’s longest standing tenants of a single stadium. 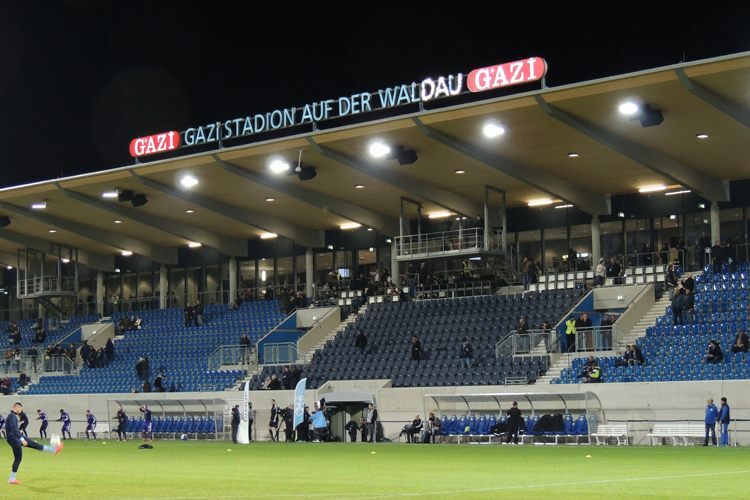 Although the team had some breaks for safety/infrastructural reasons, they always returned home to Waldau. 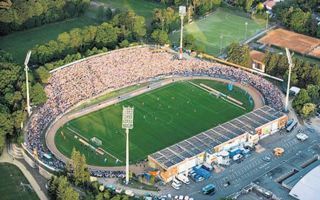 The stadium owes its most common name (from 1987 the official one) to the district, though since 2004 it’s got a naming rights partner. 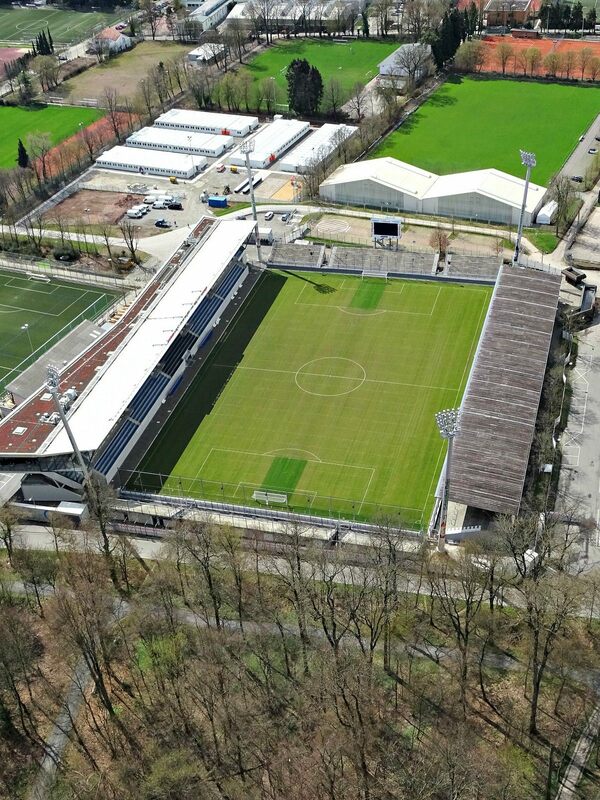 Today’s stadium is nothing like the initial one, but the old wooden grandstand built in 1905 was here until 1970s. 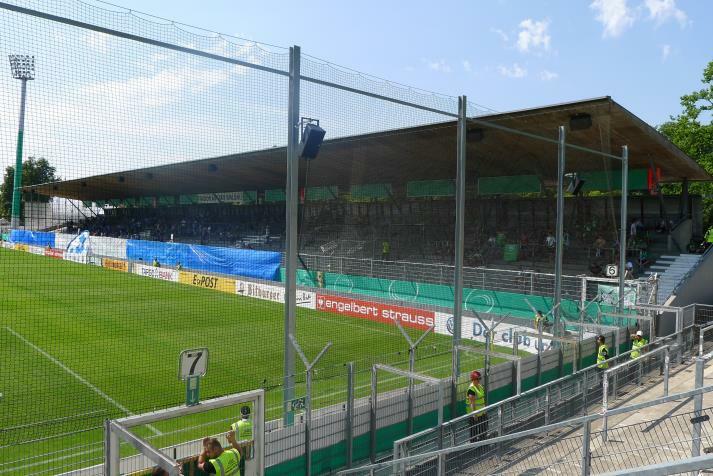 From 2015 the entire field has sections for fans along all the perimeter, beforehand there was only a modest stand in the south. 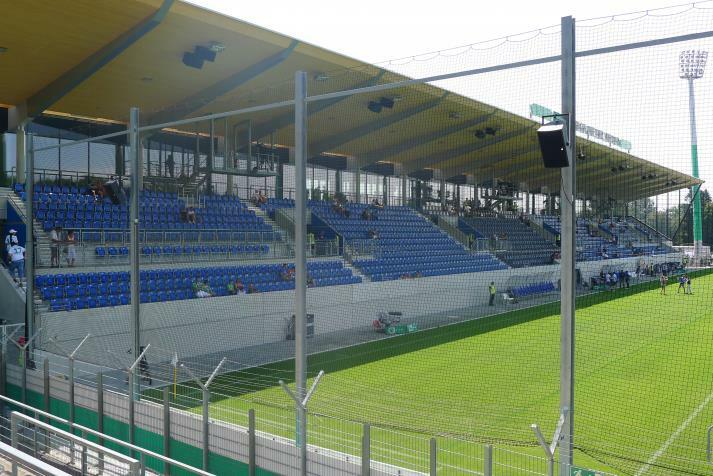 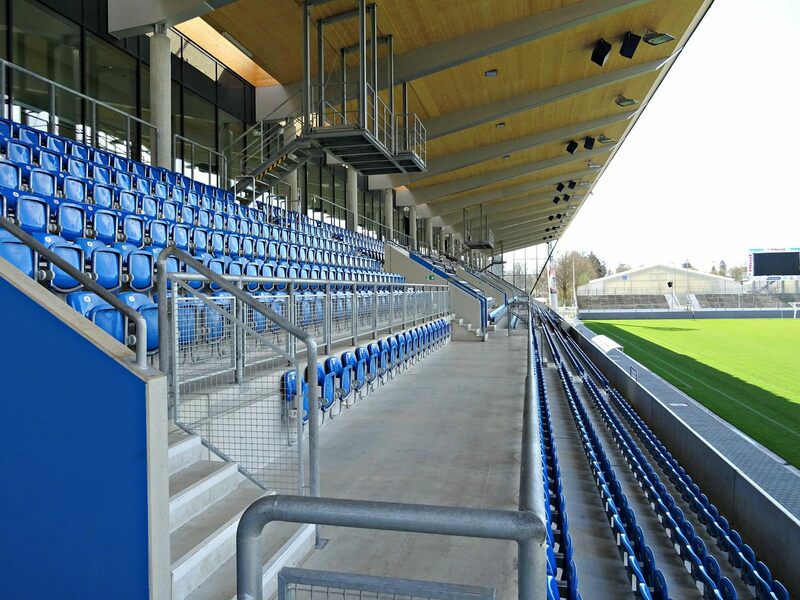 The new southern section cost €14.6 million and comprises all necessary infrastructure along with 2,211 seats. 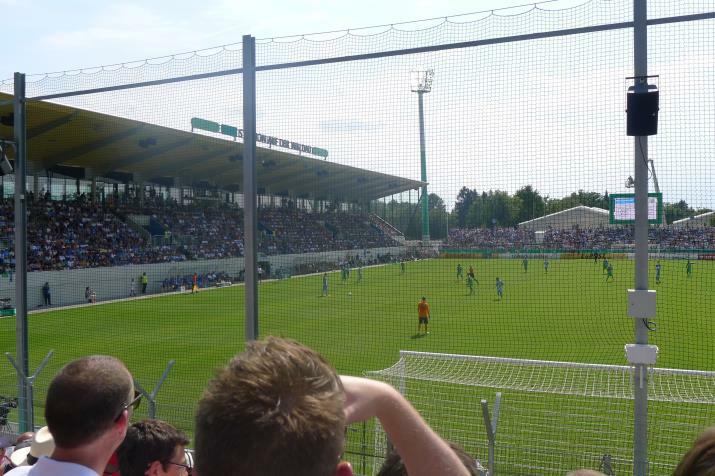 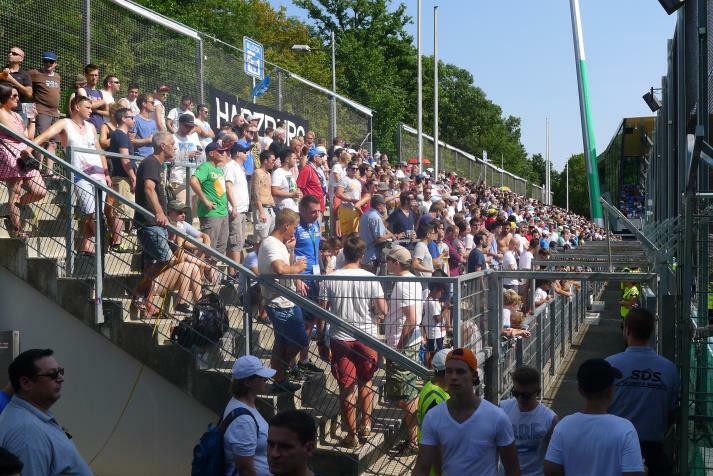 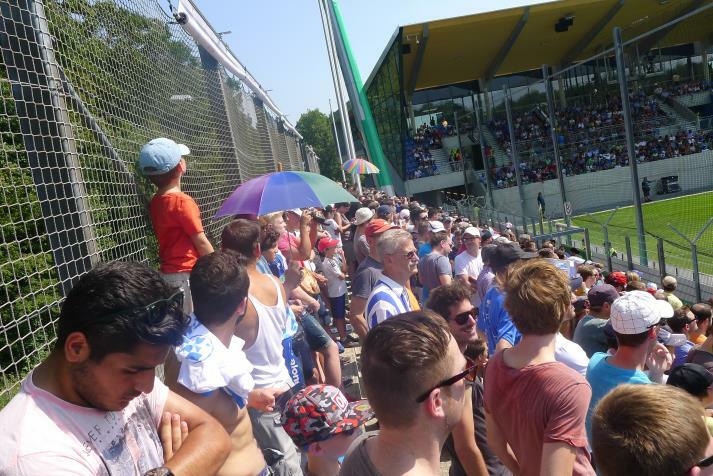 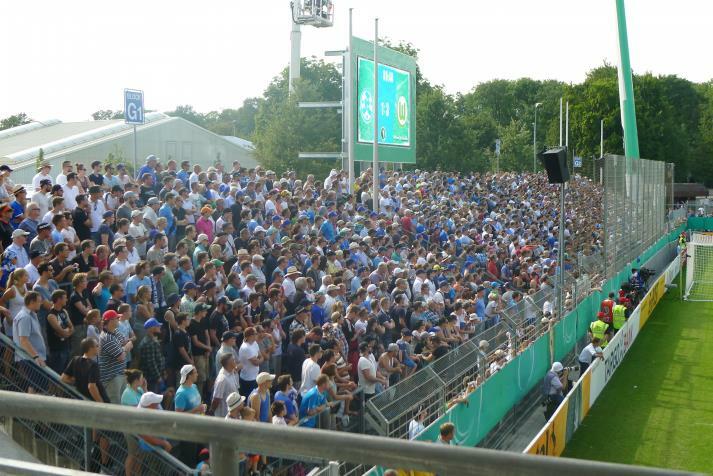 Bulk of the spectators are located in the north, where the stadium’s only covered terrace is located. 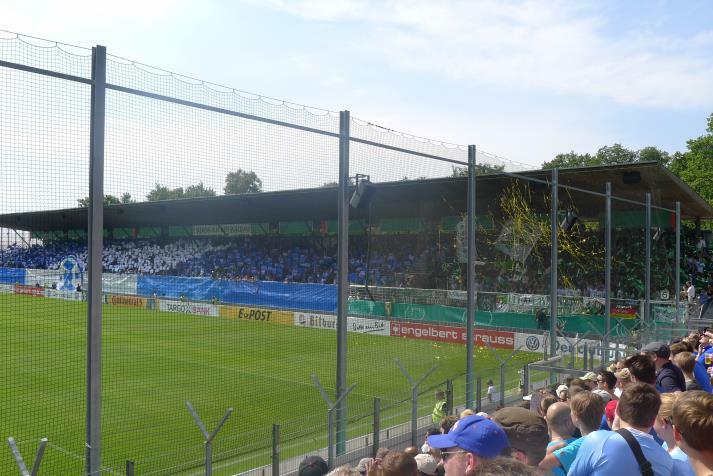 It also houses the away section. 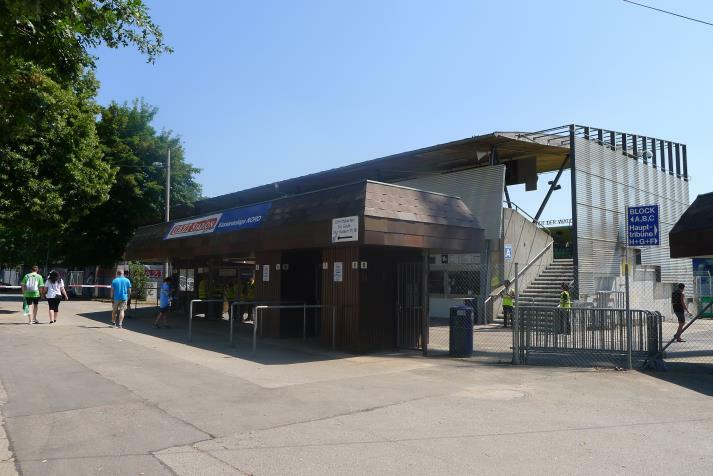 The north side was set for demolition in 2017 and its deteriorating roof was removed that same year, however funding for the grandstand wasn't approved and the football team got relegated to the 5th league, forcing only a small temporary roof for the short to medium term. 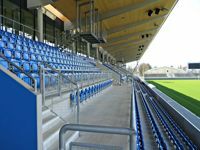 Both end zones are just over 2,000 in terms of capacity.